If it’s a Good Product – Why Don’t I Know It? We hear it all the time: “Why haven’t I heard of it if it’s as good as they claim?” The answer could be that the product or new brand is not as good as it claims to be OR, more likely, it is a great brand, but the company lacks the funds to create a branding strategy. I recently came across an article in a local paper about a fantastic cleaning product that has been able to strip wood and treat it without any toxic chemicals or ingredients. Despite the proven success from various carpenters, the product has only received distribution via two small retail stores. This is an ideal example of a great product idea that may in fact be the uber wood-refinishing product, but without a strong branding or a strategic marketing plan, the public is just unaware of this product. In a world of supply and demand, if the public is unaware of a product then there is no demand, and with no demand few retailers are going to carry said product. Unfortunately, without deep pockets it is difficult to get your brand noticed. Most large “name” brands not only had branding strategies, they had substantial marketing budgets that involved cross platform spending. As a smaller brand, it is hard to get noticed, particularly by large retailers who need product to fly off their shelves. Though our pockets may not be as deep, the good news is we can all take a page out of the “big brand” approach by taking the initial steps of having a strong brand and a strategic marketing plan. Here are a few tips to keep in mind to make sure your small brand gets the recognition it deserves. Plan in: Create a detailed tactical marketing plan – this is where you outline marketing tactic details and your annual budget to implement said tactics. This would include pricing and finding relevant community events where you can market your product or brand, as well as pricing ads in publications relevant to your audience, the costs for sponsoring a sports team, etc. You will need to outline a yearly and a month-by-month budget with the details of what can be achieved each month. Evaluate: As the monthly activities are completed, assess and evaluate them for ROI. If certain activities had a good ROI, you might want to reinvest or even expand next year. If the activity did not meet the mark, then you may want to consider eliminating it, altering it or replacing it next year. Without deep pockets, having a strategy and detailed plan will allow you to build a slow and steady brand… and as you may remember from the childhood story The Tortoise and The Hare – “slow and steady wins the race!” With the right amount of determination, your brand can become so well known that you can take your name right off your logo – and still be instantly recognized! 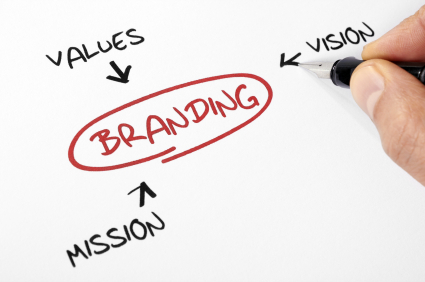 Do you feel if you had a larger marketing budget your brand would be more successful? Do you feel having a solid strategy has helped you build your brand? Do you have a tactical plan? Please share your experience in the comments below. Many people have different interpretations about what brand positioning means. It’s one of those concepts that is hard to pin down, yet at the same time is so important to the success of your brand. Positioning is at the heart of your brand. It’s essentially the summation of everything your brand is about. Positioning is built from what you know to be true about your customer. It takes the benefits you’ve outlined and makes them meaningful to customers. In its simplest of forms, positioning is the mental space you want to occupy in your customer’s mind. 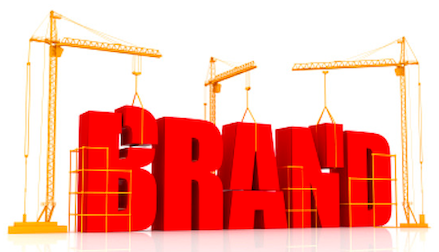 It’s the first thing you want your customer to think about when they hear your brand name. An emotional connection with your customer is the key to being a brand. But that emotional bond should be reflected in the positioning statement for the business. Positioning is more about emotions and less about the facts. That’s why marketers who think a claim about their product or service is a positioning statement, really miss the boat. The same goes for a description of your type of business. There’s no emotion in that and it’s emotions that differentiate a brand. Your brand’s positioning is the basis for building the brand experience across the entire marketing plan. The key is to make sure the actual brand experience delivers on what was intended in the positioning. Notice the level of emotion in each of these taglines, which essentially highlights each brand’s positioning. BMW: Makes you feel powerful. State Farm: Makes you feel secure and safe in times of need. L’Oreal: Makes you feel valued and good about yourself. These are obviously big blockbuster brands, but there’s no reason why you couldn’t do the same for your small business. Think about the emotional benefit that you offer your customer. Think about how you want your customer to feel about you, every time they think about you. Try to capture that emotion in a brief statement that best describes what you can offer, and jot down a few options. If you have a team, run the ideas by them and do a little brainstorming. You’ll be amazed at how quickly you start generating ideas. If you need help with any of these, have a marketing agency facilitate this process, their expertise will help you. Do you feel your brand makes an emotional connection with your customers? Please share your experience in the comments below. You know how the saying goes: the shoemaker is so busy making shoes for other people that he never has time to make shoes for his own children. As a marketing company, we focused our business on building brands for our SMB clients, and have never allotted the time and resources to look at our own brand – until now, that is! I am thrilled to announce that we have rebranded Creativeworks as CreativeWorks Marketing. We followed our own advice and our 5-Step Marketing Process to evaluate our competition, create a marketing strategy, develop a tactical marketing plan, develop new marketing and sales collateral and established metrics to measure our success. At a strategic level we determined what is unique about us, how we are different from our competitors, what our client’s value is and how we can target their needs with our services. We refreshed our brand to align with the direction of our company, and created a tag “Trusted Process. Proven Results” that highlights our USP, and determined what marketing tactics we need to create to specifically target our audience. This blog is not shameless self-promotion; it is to say that all of us, even owners of marketing agencies, can become complacent and rest on the laurels of our successes. All of us need to take the time to evaluate our businesses to make sure we are on track to meet our goals; that we have the resources in place to implement our strategy and that we track our successes. As consumers become more and more sophisticated, not only do they expect more from us, but for future business success you need to let them know they deserve more! As an owner of a SMB, do you ever feel you don’t have enough time to evaluate your own business? What challenges do you have in making your own business a priority? I look forward to hearing from you in the comments below. You may have heard many marketers refer to marketing strategies as road maps – but why? What’s with this analogy and what does it really mean? The analogy is supposed to be a simple way to describe that a strategy has many steps and is a process for your marketing. The road map was used because it illustrates how a marketing strategy is like a plan of how you are going to reach your destination. I often encounter business owners who need help planning their marketing and understanding why they need a strategy. As it is summer, in this week’s blog I have decided to turn the analogy of a marketing strategy “road map” into how you would plan your summer vacation. Vacation plan: Decide on where you want to go. Marketing interpretation: Decide on your overall and campaign-specific marketing goals and objectives. Vacation plan: Decide who is going to go on the trip. Vacation plan: Decide what you want to see. Marketing interpretation: Decide on the outcomes/increase in revenues/measurements of success. Basically, how will you know if your marketing has been successful? Are you looking for brand awareness, exposure or actual revenues? Vacation plan: Decide how you are going to get there. Marketing interpretation: What marketing tactics will you use to attract the audiences you have defined? Vacation plan: Look back on the trip once you’re back home. Would you visit there again? Marketing interpretation: Measure results of the campaign. Did it achieve what you hoped for? What could you do differently to improve results? Would you run the campaign again? Did it meet your goals and objectives? I hope that this vacation analogy helps you better understand why we refer to marketing strategies as roadmaps – it’s simply to illustrate that a strategy is a process with several steps that all support your overall marketing. Marketing without a strategy is like buying a plane ticket with knowing where you are going. I am always interested in hearing from you. Was this analogy helpful? Did you gain a better understanding of the importance of having a marketing strategy? Let me know in the comments below.